Wrangler Quick Release Rectangular Mirror Kit. Sold as a Pair. Rectangular Mirror in Textured Black Finish. Kit includes a mirror mounting bracket with hardware, adjustable mirror arm, rectangular mirror head and an easy-to-use thumbscrew. 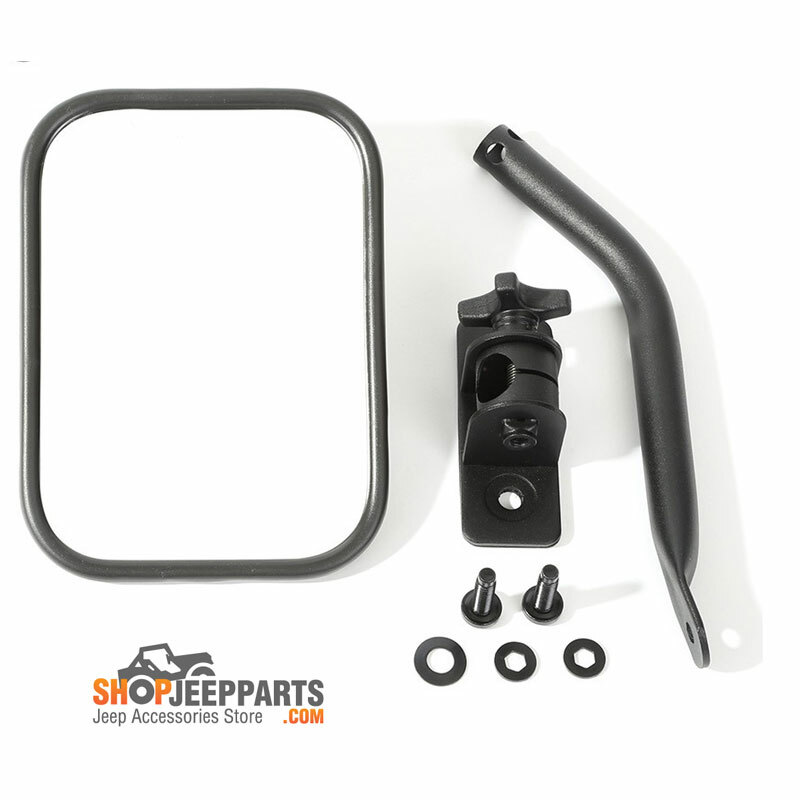 This Wrangler side mirror kit will allow you to leave the doors at home and still be able to have side mirrors. Custom-designed brackets bolt directly to the windshield hinge on 97-17 Wrangler models. 2007-2017 Jeep Wranglers JK All Models.